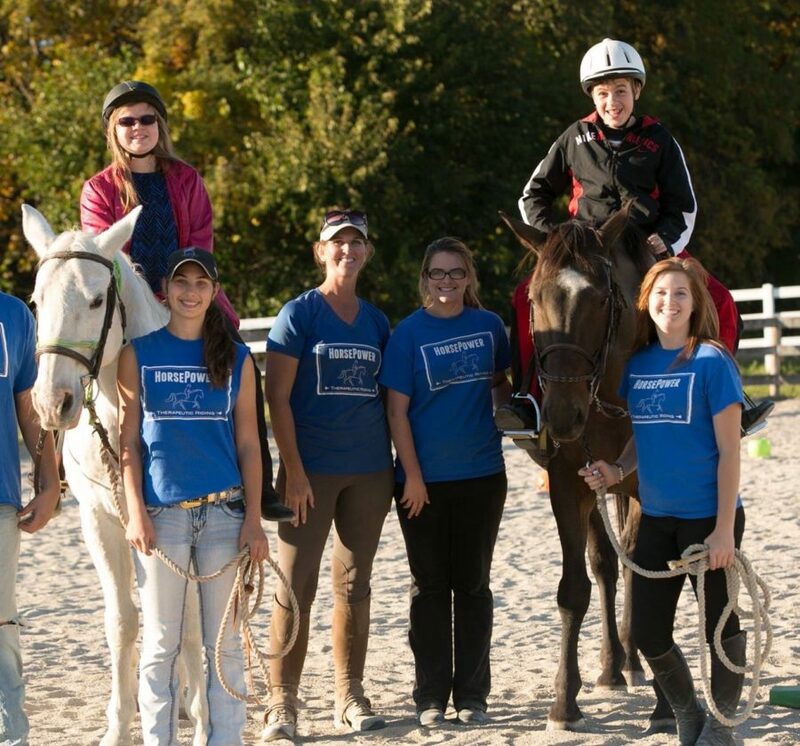 HorsePower was co-founded in March 2012 by Carrie Capes and Justin Yahnig to provide creative, inspiring and challenging therapeutic horseback riding lessons to children and adults with disabilities. In 2013, Horsepower achieved 501c3 nonprofit status allowing us to reach more students with a need for our programs. Physical, cognitive and emotional challenges no longer need to stand in the way of those with special needs who dream about getting into the saddle and making a connection with a special horse. We strive to show our students the horse’s power to change us, inside and out! Individualized lesson programs include intake and assessment sessions, groom and tack groundwork, and horseback riding instruction. We also provide non-disabled riders the extra support they may desire as well as carefully trained, reliable horses and a safe fun environment in which to learn. Therapeutic horseback riding is a dynamic recreational activity in which individuals with special needs are able to overcome challenges and learn new skills. Communication, connection, and teamwork between the student and their horse offers opportunities for physical, emotional, cognitive, sensory and social growth. Plus, the horse provides irresistible motivation which allows students to achieve more in the saddle than other traditional sports and therapies. HorsePower students are taught to ride with ever-increasing levels of independence. Trained volunteer horse leaders and side-walkers are provided initially, and slowly pulled away over time as the rider demonstrates the ability to safely guide their own horse. All students are encouraged to schedule adequate time to learn how to groom and tack their horse prior to the lesson….enriching the bond and providing additional opportunities for skill acquisition.